In 2013, Gallup Poll and Worldwide Independent Network made a survey of 66,000 people around the world and ask them questions such as their preferred home and the greatest threat to world peace. Twenty four percent identified the United States as the greatest threat, followed by Pakistan at 8%, China at 6% and Afghanistan at 5%. At the same time, it is noteworthy that the survey found the United States was also the country that they wanted most to move to. In the survey, Americans considered the US was the third greatest threat to world peace after Iran and Afghanistan, and tied with North Korea. Archaeologists have discovered a large network of Mayan structures in the jungles of Guatemala that would alter our understanding of Mayan civilization. Using a laser technology called Lidar (light detecting and ranging), the researchers were able to see 60,000 ruins beneath the forest canopy. Note: The Secret Doctrine refers to the work of Auguste le Plongeon “Sacred Mysteries among the Mayas and the Quiches, 11,500 years ago”,​ who shows the identity between the Egyptian rites and beliefs and those of the people he describes.The ancient hieratic alphabets of the Maya and the Egyptians are almost identical. H.P.B. suggests that there was an ancient connection between the Central American peoples, the Mayas and other races, and the Egyptians by means of a connecting Atlantis. In a study by Pew Research Centers among the 25 most populous countries in the world, Brazil, Japan, South Africa, Ethiopia and the Philippines were the countries with the least restrictions and social hostilities towards religions. The survey was based on 2015 data. Russia, Egypt, India, Pakistan and Nigeria on the other hand, had the most restrictions and social hostilities. “In India, for example, some state governments restricted religious conversion and others ban cow slaughter,” says the report. In a survey conducted April 4-June 4, 2017, The Pew Research Center found that there are more Americans who consider themselves spiritual but not religious. 27% regarded themselves this way as compared to 19% in 2012. 48% think of themselves as both religious and spiritual, this group decreased from 59% in 2012. 18% consider themselves neither religious nor spiritual, Up from 16% in 2012. The nature of time and its flow remains a mystery from the point of view of modern physics. 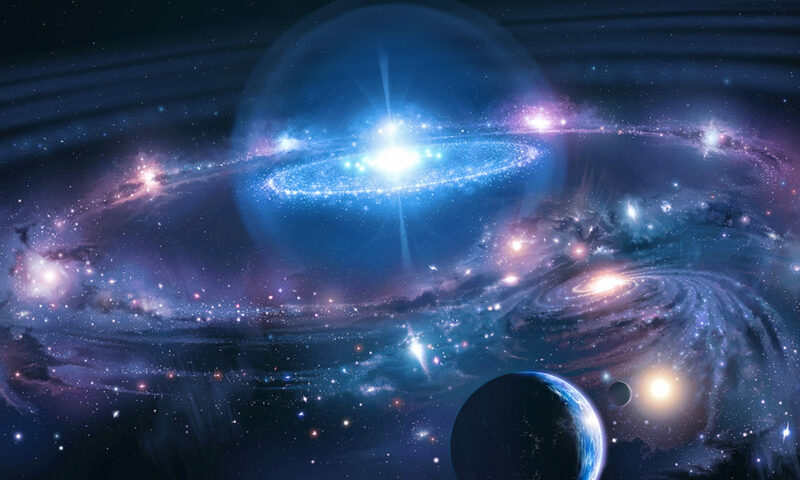 Many physicists argue that Einstein’s masterpiece, the general theory of relativity, and the Standard Model of particle physics, describe a timeless cosmos, sometimes called a “block universe” — a static block of space-time in which the totality of time already exists. In this view, all points in time equally “real,” which means that the future and past are no less real than the present. The flow of time, or passage of the future into the past, must presumably be a mental construct. A study by Jyotsna Jagai and her colleagues at the University of Illinois compared data from the Environmental Quality Index from 2000 to 2005 with the incidence of cancer from 2006 to 2010. Their findings reveal a correlation between increase in cancer incidence with the decrease in environmental quality, particularly in the case of prostate and breast cancer. Pope Francis stated that even atheists can go to Heaven so long as they are good people. The Pope stated this in a letter to La Reppublica as well as in a homily through Radio Vatican.